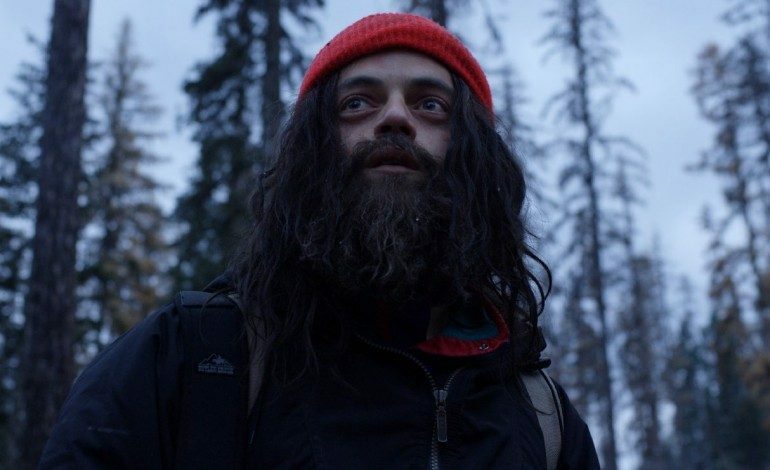 In Sarah Adina Smith’s second feature (she also filmed The Midnight Swim, a winner of the AFI Fest Breakthrough Audience Award), she centers on a homeless man surviving the freezing winter cold by breaking into vacation homes. He gets the nickname “Buster” after repeatedly calling in to a radio station to warn people about Y2k. While hold up alone in these homes, he begins to be haunted by memories of his previous life as a buttoned-up family man as well as nightmares of being lost at sea. Emmy-winner Rami Malek (USA’s Mr. Robot) stars as Buster in what looks to be as equally a chilling and mind-bending role as his claim-to-fame character Elliot Alderson in Mr. Robot. Also appearing in the film are DJ Qualls (The New Guy), Kate Lyn Sheil (Equals), and Lin Shaye (Insidious). Smith wrote, directed, and edited the film herself. Buster’s Mal Heart will be premiering at the Toronto International Film Festival on September 11 of this year during which time it will likely be on the market for distributors, if it isn’t snatched up ahead of time.